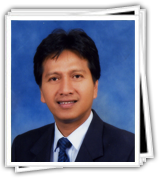 Azizan Mohamad Sidin, 50, was appointed as Director General and Member of Perbadanan Harta Intelek Malaysia on 1 July 2010. He holds a Bachelor Degree of Science (Agribusiness) from University Pertanian Malaysia and Masters of Science (Economics) from University of Arkansas, USA. His extensive experience in administering and managing of an organization has made him a household name in civil service. Started his career as Marketing Officer at Malaysian Timber Industry Board in 1984 before he was appointed as Assistant Secretary at Ministry of Primary Industries in 1988. He was later appointed as Assistant Director at Economic Planning Unit at the Prime Minister’s Department in 1994 and as Head of Assistant Director at Privatization and Economic Section, Office of the Secretary to Government Selangor in 2000.